There you sit, one of four people on a panel at a conference listening to some idiot rushing through 20 overstuffed PowerPoint slides, droning on and on about his product. He’s supposed to have a 10-minute limit; but the information is so great, he had to “borrow” five minutes from the event’s overstuffed agenda. Bet you’re glad you only have 15 slides! It could be worse … you could have paid to attend the conference. Congratulations. You just made an arse of yourself; or if you created the presentation for your boss, you gave the “honor” to him/her. Getting a speaking opportunity at any of the thousands of conferences, conventions held around the globe is a lot of hard work unless you’re one of the industry’s true luminaries. Of course, these individuals, like comedians and actors, spend more time practicing than presenting. 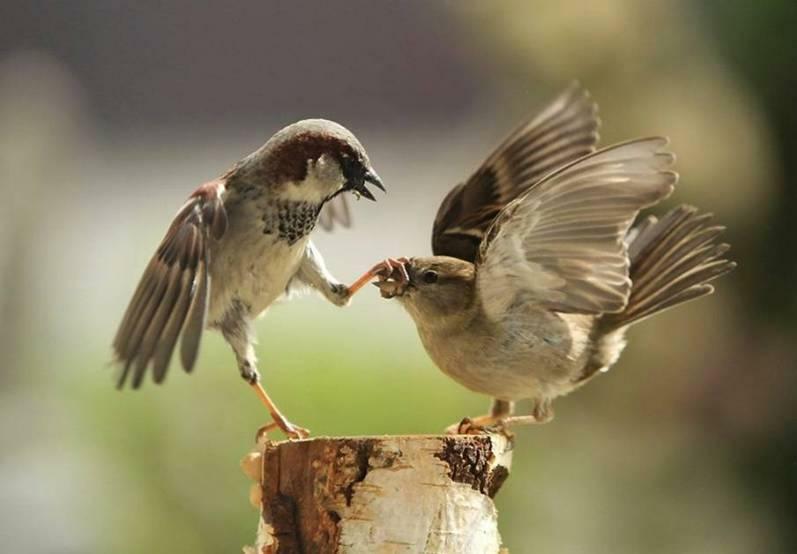 The last thing he/she wants to do is embarrass himself/herself in front of the audience–or bore them. Keep Them Interested – Nothing puts an audience to sleep or encourages them to leave early than a presentation that is only of interest to the speaker. At some point, you have to review the presentation objectively and determine if it meets your information standards, is interesting, lively. Remember, it’s not all about you…it’s the audience. 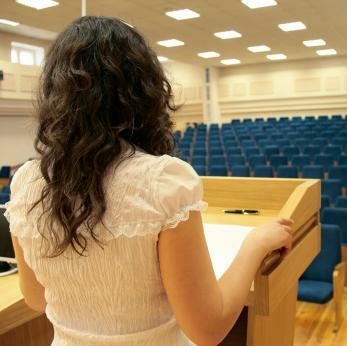 Making an effective conference presentation is one of the most difficult, most time-consuming things you can do. Making one that is sloppy, overbearing, boring, painful (for the audience) takes almost no time. That’s probably why so many people recommend that before you or your boss begins preparing the conference presentation, they watch The King’s Speech or spend a couple of evenings at a local comedy club. 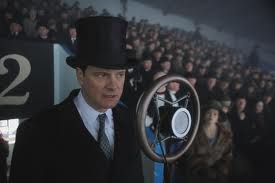 The King’s Speech is not just entertainment; it is an excellent study of how an individual overcame his personal doubts to ensure he delivered the best possible presentation of information to his audience. Focused Direction – The best, most effective presentations have a minimum number of key points and help the audience move along with you. 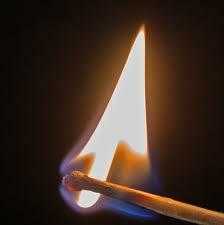 Light the fire and fan the flame. Simplified slides let the audience focus on the speaker and what he/she is saying, rather than struggling to read the slides and listen. We’re not certain who developed the PowerPoint presentation. Probably someone who wanted to confuse or overwhelm people and if that was the reason, he succeeded in spades. But if you want to have people walking out of the room thinking they got their money’s worth, the first thing to do is have a point you want to make, tell the audience what the point is and then tell them what you told them. When people work on their presentation, the first temptation is to give folks all the boring details. But hitting the high points with brevity is more memorable. If people in the audience want more information, email it to them. You may be making a business presentation; but remember, those are live people in the audience and they want to know how it will help them do a better job more easily so they can look like a hero, get a raise. Sure, it may be a complex engineering, scientific presentation; but it doesn’t have to be dry unless you lack imagination. Use strong images that capture the idea and draw them in, keep them interested, involved. If it’s a complex idea, simplify it with an image that visually explains the points. The image will be remembered a lot longer than a set of bullet point words. Just use the key points in your presentation and explain them verbally. If you want to get the most out of the speaking opportunity, you have to make the presentation interesting for the audience, not you. Getting to Carnegie Hall – The old vaudeville question/response was “How do you get to Carnegie Hall? Practice.” It’s the same for the presentations executives make throughout the year at conferences, conventions. Few people are “natural speakers.” They became powerful and effective after a lot of assistance, critique, practice. Even Bertie, who had a stuttering problem, was able to overcome it and stand in front of large (very large) crowds with training and hours of practice. Performers and singers have said they hyperventilate, are sick to their stomach or worse before they go on stage, even after hours of rehearsal. This is true of almost every head of state, company CEO or senior executive who has given tons of speeches, presentations. But still, they rehearse because they owe the audience nothing but their best … so do you. In addition, by practicing your presentation, you’re able to work on your delivery and presentation timing. Practice also helps you fine-tune, streamline, minimize your PowerPoint for an even more effective presentation. Don’t Drone On – Whether it’s 10 minutes or a one-hour time slot, streamline your presentation so you focus on your key points, make and reinforce the points in a lively manner, surprise your audience by not taking up all of your allotted time. Give yourself time to have a good question and answer session so you can ensure the audience really got your message or can clarify points during the discussion. Knowing when to end your presentation before you lose the audience is one of the most difficult things to learn. It’s even harder for the people who have to help the company executive prepare for the conference session. Whether your executive has been asked to make a one-hour keynote or be part of a five-person panel session, here’s a dirty little secret … smart speakers don’t try to fill the allotted time! They try to focus on the three to four key points, they make them, they sit down or take questions from the audience. The speaker who respects his/her time limits can almost hear a welcome sigh of relief from the audience. Those who don’t have people checking their watches, cellphones knowing they’re not going to ask a question because they don’t want to get you started … again. Have a relaxed conversation with your audience. Give them the information they came to hear, not the information you came to present.